In late April, the pond is filled with over 30,000 blossoms of peonies. 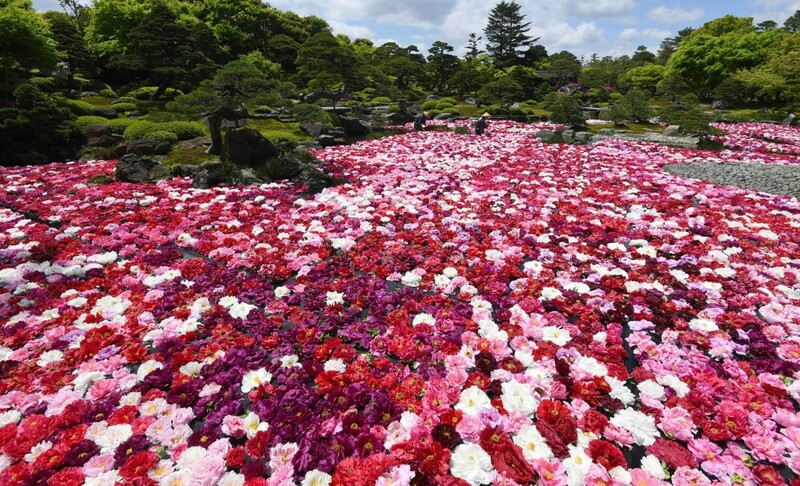 The attraction is called Sanmanrin-no-Chisen-Botan, meaning ponds with 30,000 peony blossoms in Japanese, and held in Yuushien Japanese garden on the Daikon Island in Matsue-shi, Shimane Prefecture. 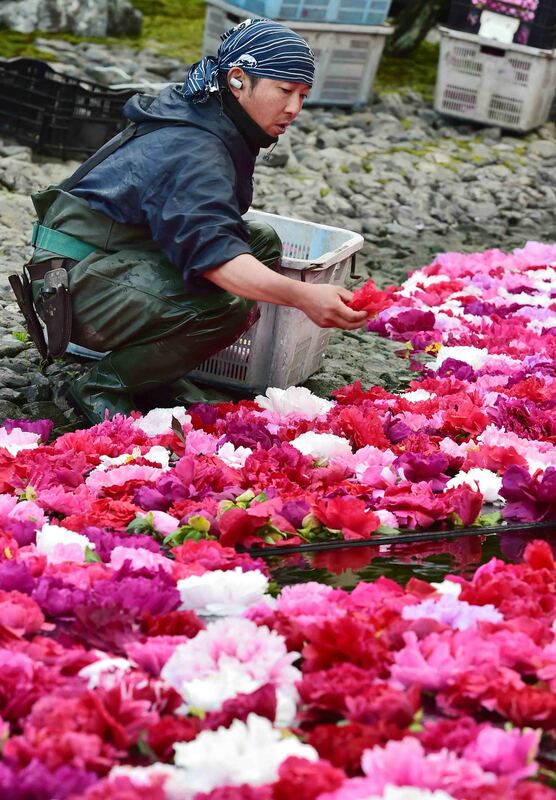 The island is the largest producer of young peonies and these flowers are gathered from local peony farmers, 30 of them in total this year. 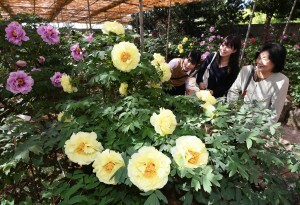 The breath-taking scene first appeared four years ago as the highlight of the garden’s spring peony festival and with the aim of bringing more people to the island. In 2015, during the festival that offers this very exclusive experience, the garden was visited by approximately 50,000.
the ponds by hand in the evening of the day before the opening day. Then in early morning, they replaced old flowers with new ones. In total, they used approximately 100,000 flowers. This year’s highlight was Ougon-no-Chisen-Botan (golden ponds with peony blossoms in Japanese) that floated rare yellow peony blossoms. The Daikon Island produces 1.2 million young peonies a year. 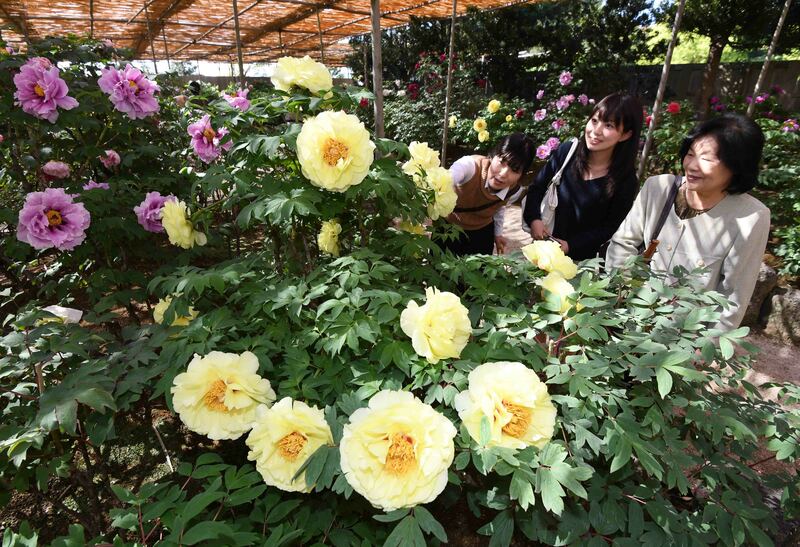 The garden uses early blooming flowers which were picked by the farmers in order to keep the young peony trees healthy and strong.